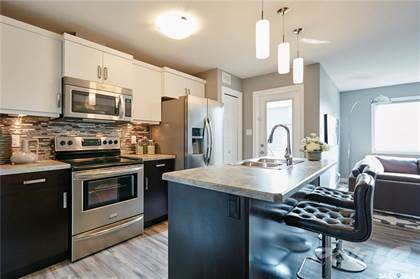 This "Bailey" Homes by Dream two-storey townhome features modern open-concept floor plans with all of the amenities of a single family home, combined with the benefits of condo living. This home features an attached 1 car garage, spacious open concept great room with a large kitchen island, large windows off living area allowing an abundance of natural light, a master suit with walk-in closet, and a separate laundry room upstairs. PROMO: Free washer & dryer included! Call the listing agent for more information. NOTE: Photos shown may differ from actual product listed. Asking price includes GST & PST. Hi, I'd like to find out more information about 5301 Beacon DRIVE. Thanks so much!